Why do all REST API calls result in "Server returned HTTP response code: 403" or "401" error? 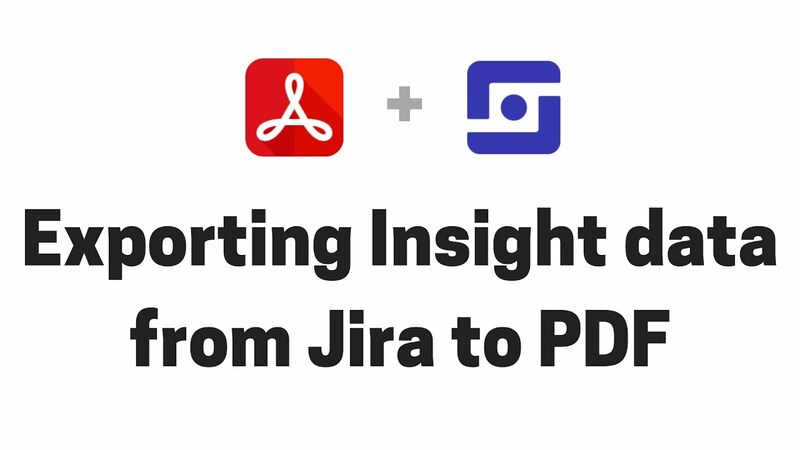 This page describes how Better PDF Exporter for Jira exports data from, or integrate with popular Jira apps. If an app is not mentioned here, it does not mean that it would not work in PDF exports. This page only lists the most important apps, that are actively used by the Better PDF Exporter user community and whose integration is officially supported by Midori. Read the automation tutorial for a complete how-to. See the Automation Lite for Jira page (at its own vendor). See the Template Gallery for sample files exported from Gliffy. Don&apos;t worry about using plain text passwords: this file is visible only for Jira administrators, who would have super-user permissions any way. Also note that if you are using multiple REST API based integrations in the same template (ex: Gliffy plus Zephyr), then all REST API will be used with the same user credentials. As a good practice, this is safer to avoid usernames and passwords that contain non-English characters. 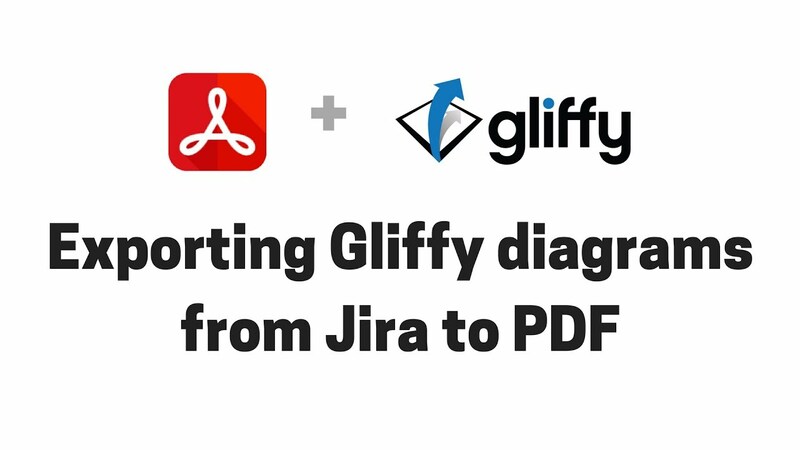 Albeit our Gliffy script correctly encodes international usernames and passwords, their handling also depends on the configuration of the container that hosts your Jira web application (typically Tomcat). If you're having difficulties, just replace those characters in your username or password with English letters or numbers. First off, be 101% sure that the REST username and password are correct. If those are, but you are still receiving 403's, please open Jira in your browser, logout and login with the same user account which you configured for the REST calls. 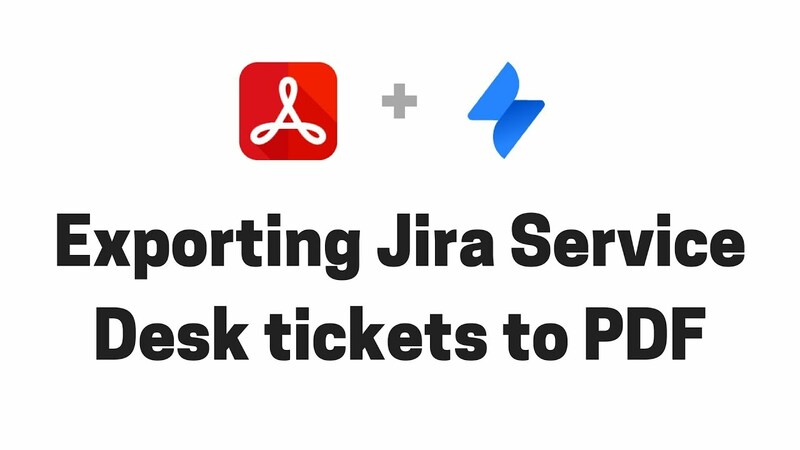 You will be asked for a CAPTCHA verification, but after answering that and logging in to Jira, the REST calls will also be successfully executed! Why does this happen? As its default behavior, Jira will lock your account and present a CAPTCHA on the login form after a few (3 - 5) unsuccessful login attempts. Since the Gliffy integration may send several REST API requests per export, the unsuccessful login attempts limit can be reached very quickly if the password is wrong. To resolve this: you just have to pass the CAPTHCA verification, that's it. Please note that it will never happen again, unless you change the password of the corresponding Jira user account. If you are an administrator, there is also a quicker solution: go to Administration → User management and clear the failed login attempts counter with one click. See the Gliffy page (at its own vendor). You can export all Insight-specific custom field types like Insight Object (single select), Insight Object (multi select), Insight Object/s (since app version 6.4.0), Insight Referenced Object (single select), Insight Referenced Object (multi select) and Insight Object (read only) to PDF. You can configure the export format to include object names (e.g. "My supa dupa server"), object keys (e.g. "My supa dupa server [SRVR-123]"), object attributes (e.g. "My supa dupa server [SRVR-123] (Manufacturer=Cray Research, Vector Processors=4, Type=Supercomputer)") and any combination of these. See the Template Gallery for sample files exported from Insight. There is nothing to do. Better PDF Exporter will automatically recognize the Insight managed fields and export them accordingly. Note: you can absolutely have different export formats in the two templates, as issue-fo.vm typically has more space for details. See the Insight page (at its own vendor). Better PDF Exporter supports JEditor's all formatting features. You can export JEditor-rendered Description and Environment fields, issue comments, and any single- or multi-line text custom fields to PDF. See the Template Gallery for sample files exported from JEditor (Jira Editor). There is nothing to do. Better PDF Exporter will automatically recognize the JEditor rendered fields and export them accordingly. 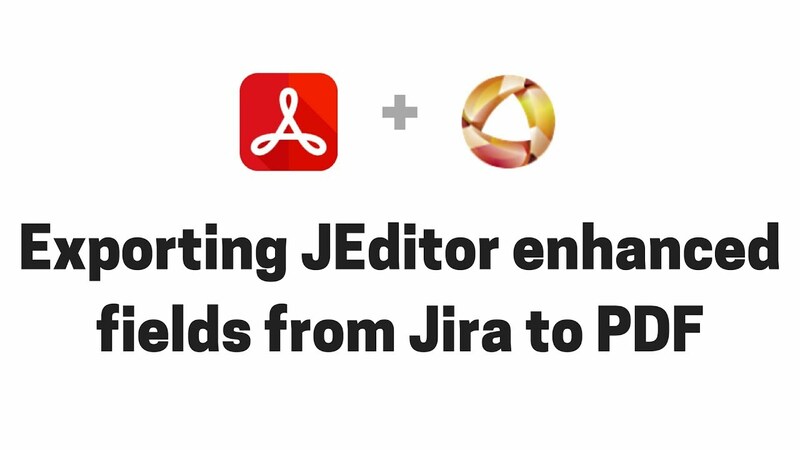 See the JEditor (Jira Editor) page (at its own vendor). You can export the Jira Service Desk-specific custom field types, like Approvals (including decision details), Customer Request Type, Organizations, Request Participants, Satisfaction, Satisfaction Date, SLA to PDF. See the Template Gallery for sample files exported from Jira Service Desk. There is nothing to do. Better PDF Exporter will automatically recognize the Jira Service Desk managed fields and export them accordingly. Note: you can absolutely have different export formats in the different templates, as issue-fo.vm typically has more space for details. See the Jira Service Desk page (at its own vendor). You can export the Jira Software-specific custom field types, like Sprint, Epic, Story Points, etc., to PDF. Better PDF Exporter offers a Sprint Report template, with Burn Down Chart, Daily Velocity Chart and agile key performance metrics. 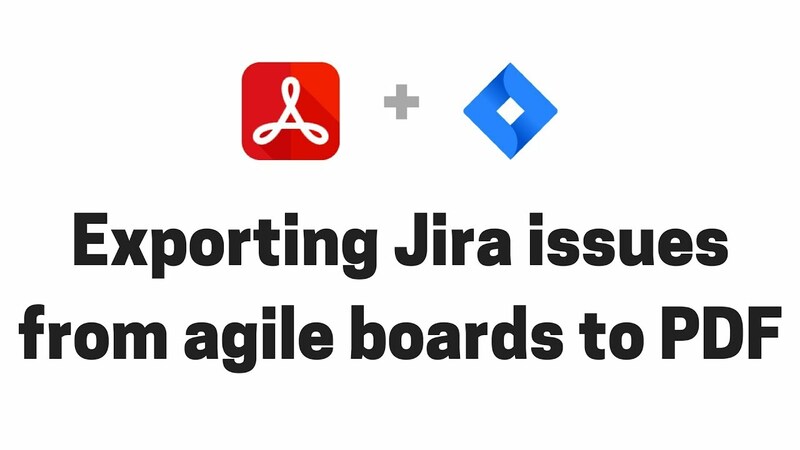 It can flexibly work from any list of input issues, not strictly belonging to the same Jira Software sprint. See the Template Gallery for sample files exported from Jira Software. There is nothing to do. Better PDF Exporter will automatically recognize the Jira Software managed fields and export them accordingly. 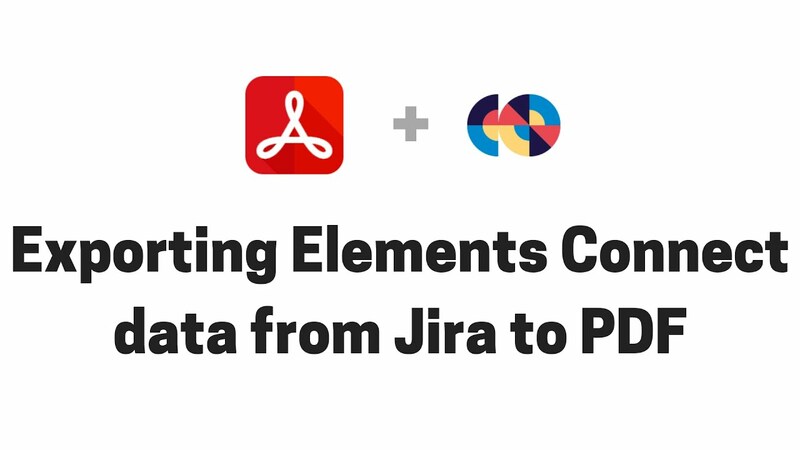 The templates using Jira Software data, story-card-fo.vm and burn-down-chart-fo.vm, contain several configuration parameters in their top part. These are are documented right in the template source code. There is one particularly interesting setting in burn-down-chart-fo.vm. As this template can also work without Jira Software, setting the ID of the "Sprint" custom field is optional. But even when it is unset, the template needs to find out the sprint&apos;s start- and end date to be able to render the charts! What it does, is parsing the dates from the description of the saved filter that was executed to produce the input list of issues. The description is expected to be in a format that ends with " dd/mm/yyyy - dd/mm/yyyy", for example: "My sprint report 01/02/2013 - 15/02/2013". 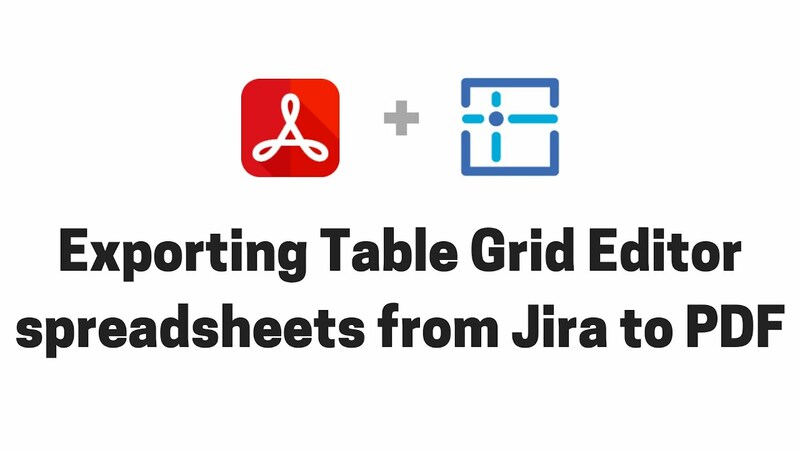 Please note that it also means that you can render Burn Down Charts from any issue list, they do not need to be related via a Jira Software sprint! See the Jira Software page (at its own vendor). You can export the nFeed-specific custom field types like nFeed, nFeed - Date, nFeed - DateTime, nFeed - User (and even the legacy nFeed [deprecated]) to PDF. See the Template Gallery for sample files exported from nFeed. There is nothing to do. Better PDF Exporter will automatically recognize the nFeed managed fields and export them accordingly. This is a very infrequent and random problem, which is deeply rooted in Jira's OSGi component dependency management. Solution: simply re-enable Better PDF Exporter (via the Universal Plugin Manager) and it will work. See the nFeed page (at its own vendor). 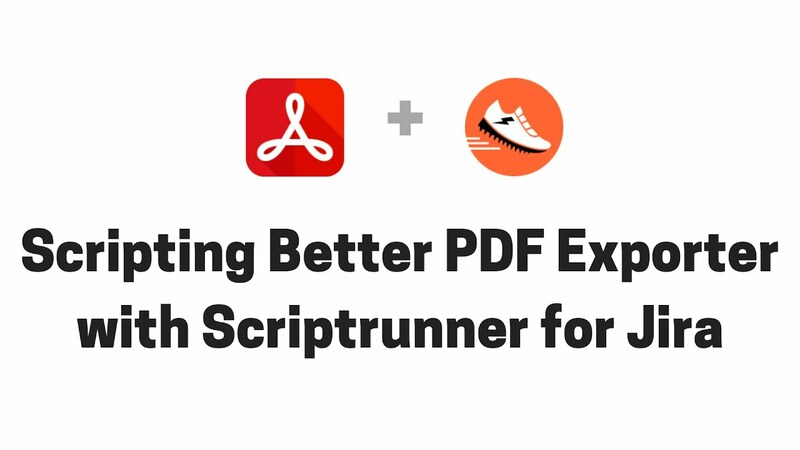 The PDF API provided by the Better PDF Exporter app fully supports ScriptRunner. Midori actually recommends Groovy as the generally best choice of language to implement automations and integrations that rely on the PDF API. Read the PDF API tutorial for a complete how-to. See the ScriptRunner page (at its own vendor). You can export any Table Grid Editor managed custom field to PDF. See the Template Gallery for sample files exported from Table Grid Editor. There is nothing to do. Better PDF Exporter will automatically recognize the Table Grid Editor managed fields and export them accordingly. See the Table Grid Editor page (at its own vendor). You can export the Tempo-specific custom field types, like Account, Team, Iteration, etc., to PDF. You can export the Tempo managed worklogs to PDF along with their custom worklog attributes. You can optionally filter the Tempo worklogs by start date and end date or to exclude the non-billable worklogs, for example. 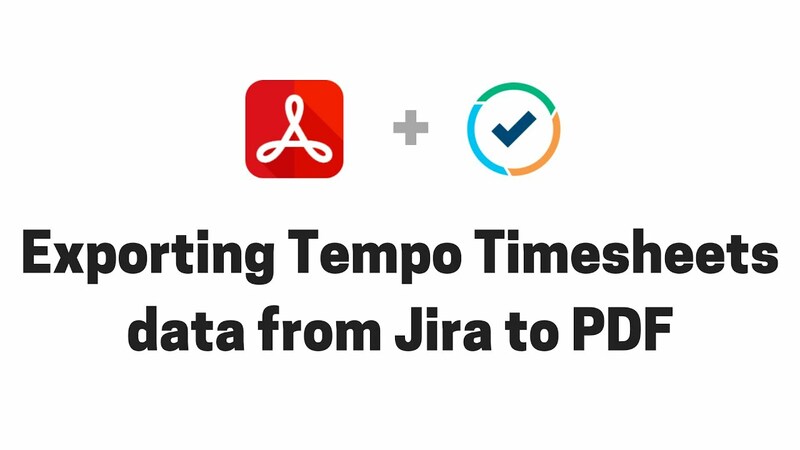 Better PDF Exporter for Jira also offers a customizable timesheet / invoice template to generate custom timesheets and time-based invoices from Tempo worklogs. See the Template Gallery for sample files exported from Tempo Timesheets. There is nothing to do. Better PDF Exporter will automatically recognize the Tempo managed fields and export them accordingly. If you wanted to export Tempo worklogs, PDF templates download those from the Tempo servlet during the document rendering. Tempo servlet is basically Tempo&apos;s HTTP based API. Go to Administration → Add-ons → Access Control (under Tempo). Enter "127.0.0.1" (localhost) or the Jira server&apos;s actual IP to "Allowed addresses", and "Save" the changes. Copy the "Security token" string to the clipboard. Go to Administration → Add-ons → PDF Templates (under PDF Views). Paste the security token similarly to the timesheet-fo.vm template, as well. Export a Jira issue having Tempo worklogs with the "PDF" view as a test. You will see java.io.IOException: Server returned HTTP response code: 401 for URL error messages in the exports until the access permissions are properly set up. After you set up the Tempo servlet access, you may want to configure the details of exporting the worklogs. If there is a time period specified, then the tempo-tool.groovy script exports only the worklogs in that time period. The time period is specified by a start- and an end date passed in request parameters. Start and end date are available in Tempo contexts (like the Timesheet screen), but not available in others (like the Issue Navigator screen). This is simply because while the Tempo contexts offer a period selector, Issue Navigator doesn&apos;t.
Since app version 6.2.0, the tempo-tool.groovy script can export the worklogs of only one specific user if the username is passed in a request parameter. The username is available in Tempo contexts (like in the Timesheet screen), but not available in others. Again, this is simply because the user selector is available only in Tempo contexts. Since app version 6.2.0, tempo-tool.groovy script supports two loading strategies: "pre-load worklogs for all issues" vs. "load worklogs for each issue separately". In our profiling, the former works faster for larger number of issues, i.e. when we expect a larger number of worklogs to be returned. These requests can be served faster if all the worklogs in the period are downloaded with a single Tempo API call (instead of one Tempo API call per issue). There is a potential danger to consider! If you have a large number of issues and the period is "all times" (or very long), then pre-loading can generate heavy load on Tempo. Therefore, by default pre-loading is used only if there are more than 10 issues to export and the period is not "all times" (but some specific start and end date)! See the Tempo Timesheets page (at its own vendor). You can export the Test steps custom field type. 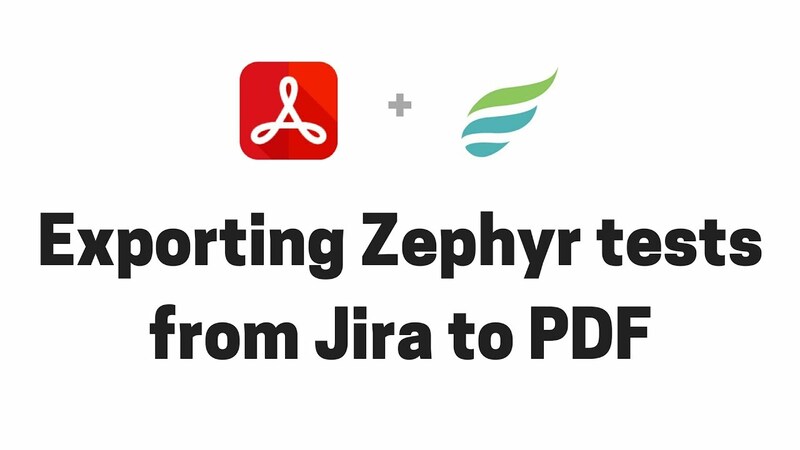 As Zephyr tests are regular Jira issues, this enables creating self-containing exports from Zephyr tests with all their details from field values (test details), through attachments (test data) and comments, to test steps (instructions). You can export the test executions for any test. Executions are exported with their (customizable) details for a comprehensive report: test cycle, version, status, defects, executor user and execution date. You can export the test step results of the test executions for detailed test reports. In this case, the following (customizable) details are exported for each step: status, defects, comments and execution date. See the Template Gallery for sample files exported from Zephyr. Please note that the Zephyr app itself does not expose any public API. Instead, there exists a separate app called ZAPI (developer by the Zephyr team), to provide a REST API for Zephyr tests, test executions and so. As a good practice, this is safer to avoid usernames and passwords that contain non-English characters. Albeit our Zephyr script correctly encodes international usernames and passwords, their handling also depends on the configuration of the container that hosts your Jira web application (typically Tomcat). If you're having difficulties, just replace those characters in your username or password with English letters or numbers. Why does this happen? As its default behavior, Jira will lock your account and present a CAPTCHA on the login form after a few (3 - 5) unsuccessful login attempts. Since the Zephyr integration may send several REST API requests per export, the unsuccessful login attempts limit can be reached very quickly if the password is wrong. To resolve this: you just have to pass the CAPTHCA verification, that's it. See the Zephyr page (at its own vendor).